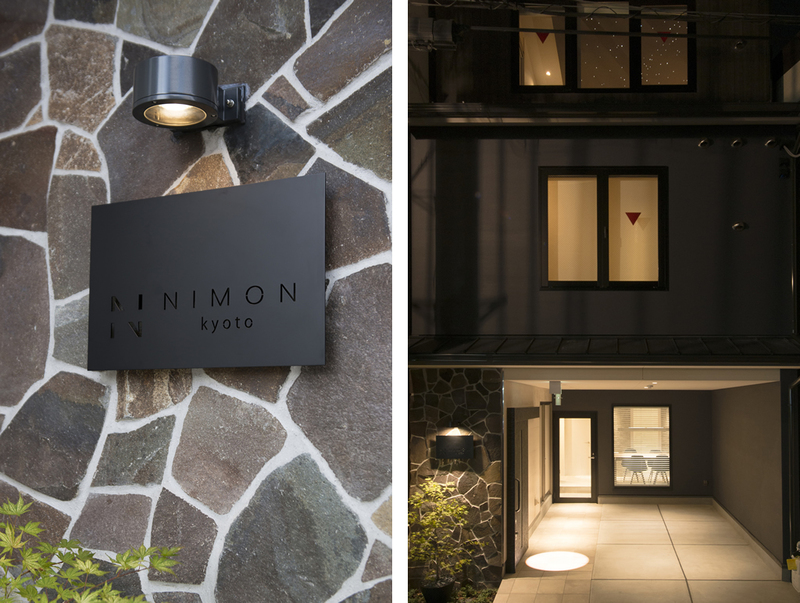 Nimon is a unique modern residence in Kyoto, located about a 10 minutes’ walk from Heian Shrine in the Okazaki area in the beautiful city centre, which features nature and history. 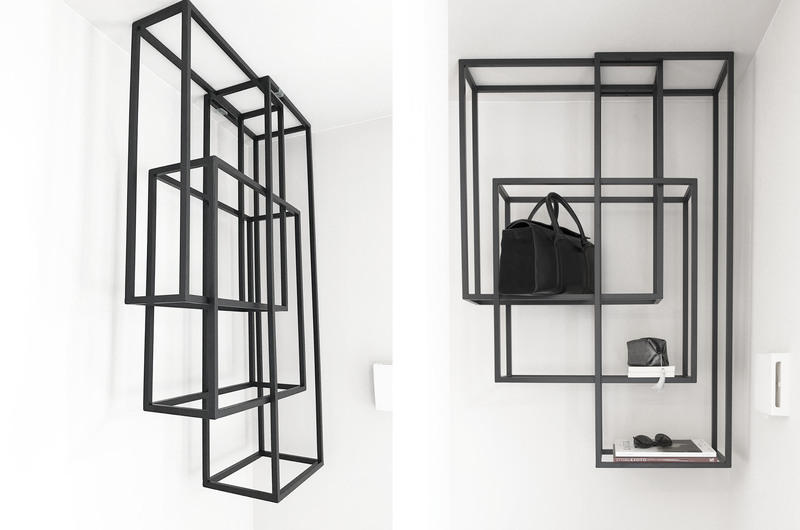 There are two maisonette type rooms nestled in a residential area of Nioumon Street. 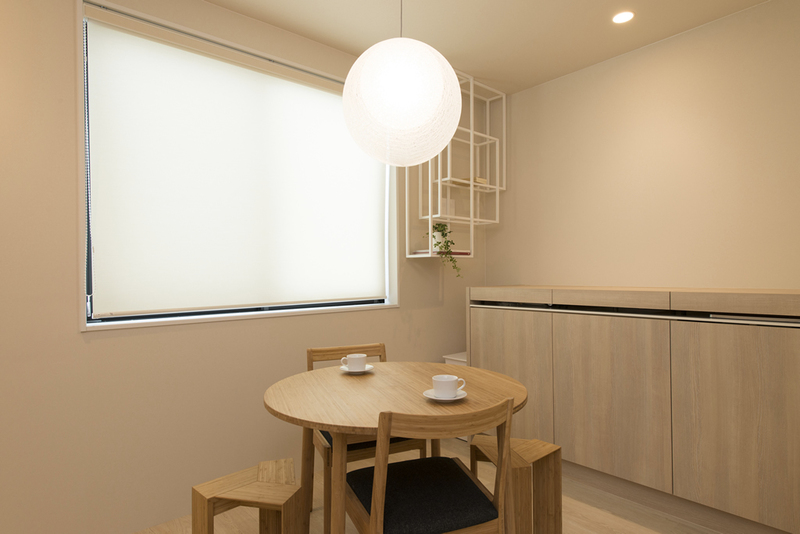 The concept of the room is based on the logic of Gogyo Shiso (Wuxing Thought), and it is decorated with two pairs of interior types on the north side and the south side. 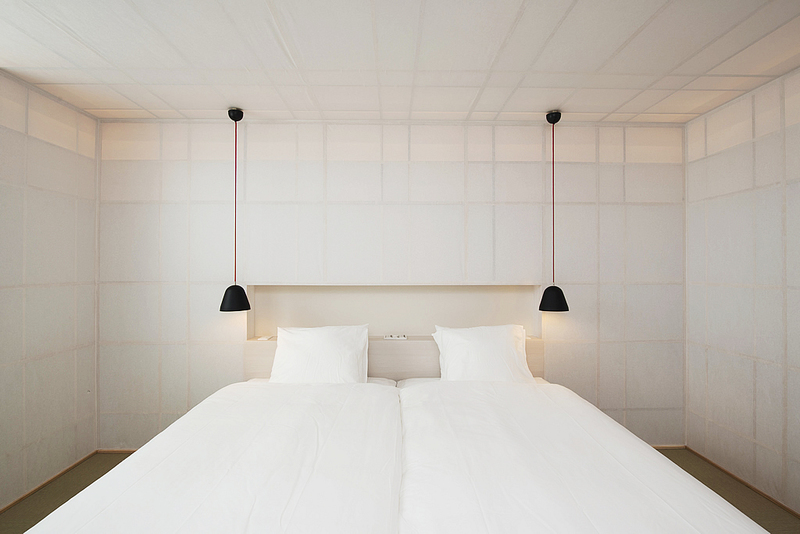 The bedroom facing the south room, 1 Kai, uses lighting with embedded optical fibres. It appears like you are staying at the bottom of the deep universe. You will have a very relaxing and meditative time. The bedroom facing the north side room, 2 Hane, uses wood and paper for the ceiling and walls. 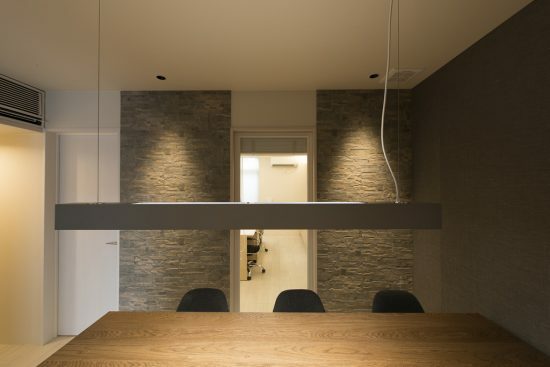 It is a light gravity sense space that wraps the light through the material in soft light, like lit lamps. You will experience a light or floating feeling. In other words, 1 Kai is gravity, and 2 Hane is lightness. Both rooms are fitted with a furniture style kitchen. 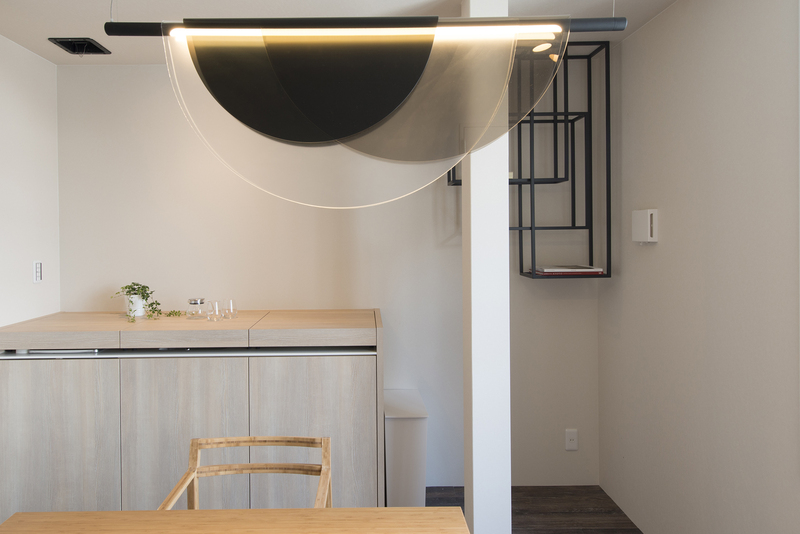 Hanging shelves designed by Hiromi Kim were installed next to the kitchen, combining practicality and aesthetics to create a comfortable environment for visitors.